Carola Bauckholt has written several pieces in which the imitation of bird sounds plays an important role. 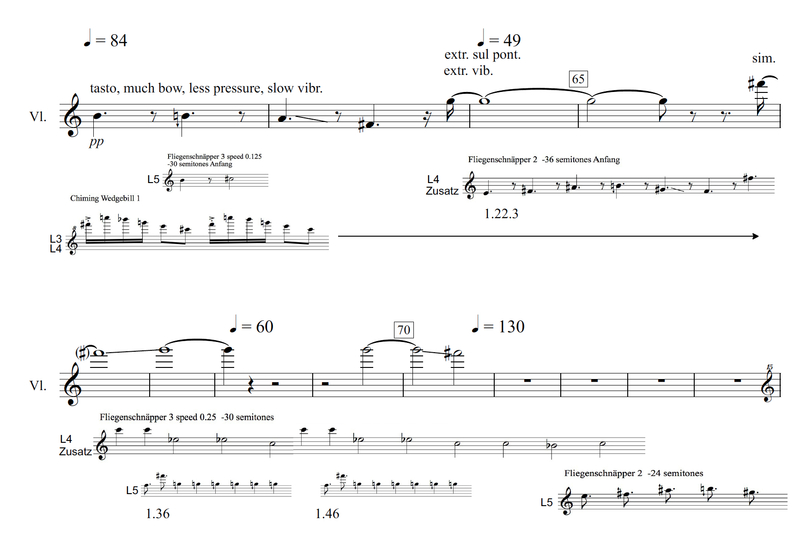 Examples are Lichtung (2011), for string quartet, and Zugvögel (2011/2012), for five wind instruments. In her piece Doppelbelichtung (2016), for the first time, these “photographic imitations”—as Carola calls them—are confronted with real recordings of singing birds. 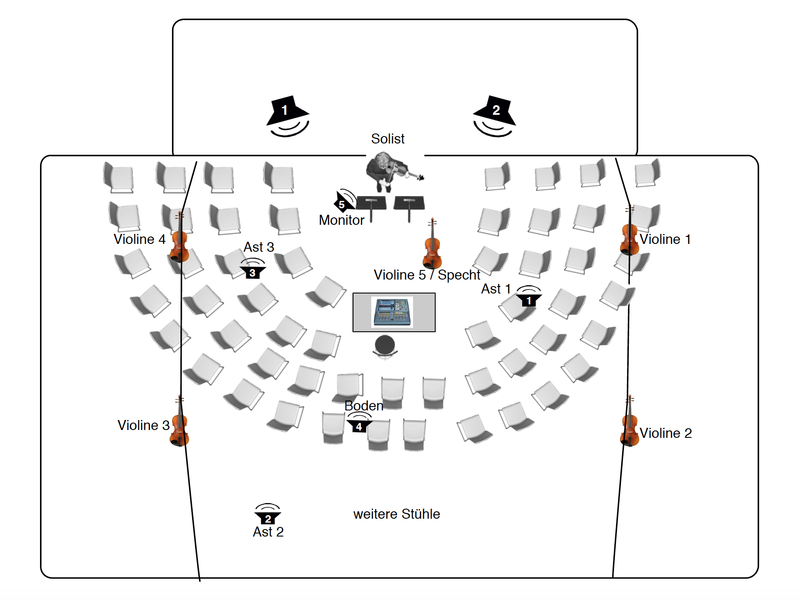 This piece is for violin and 12 loudspeakers, among them several “violin loudspeakers”: by placing tactile transducers on violins and hanging them in the concert hall, sounds are transmitted through the corpuses of violins. The twelve audio tracks of transformed bird recordings are played through twelve loudspeakers. Two of these loudspeakers are normal PA loudspeakers. 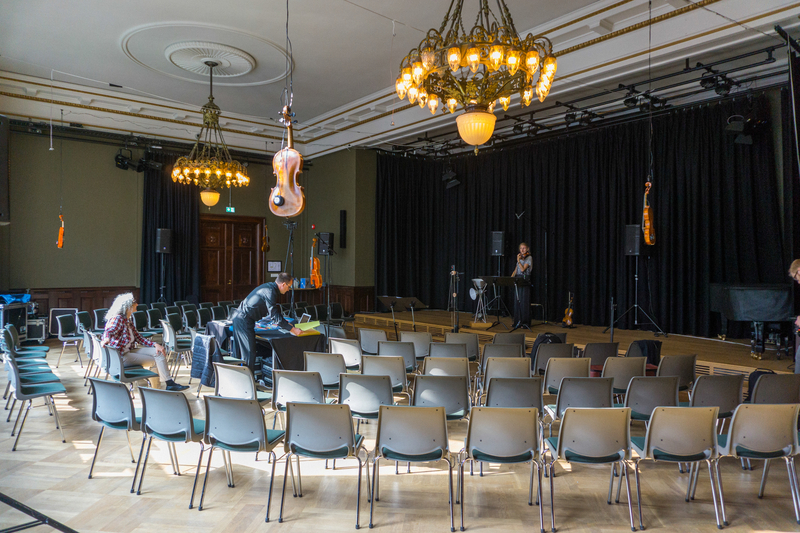 Four of them are small loudspeakers placed in the audience and another small one is used as a monitor for the violinist. 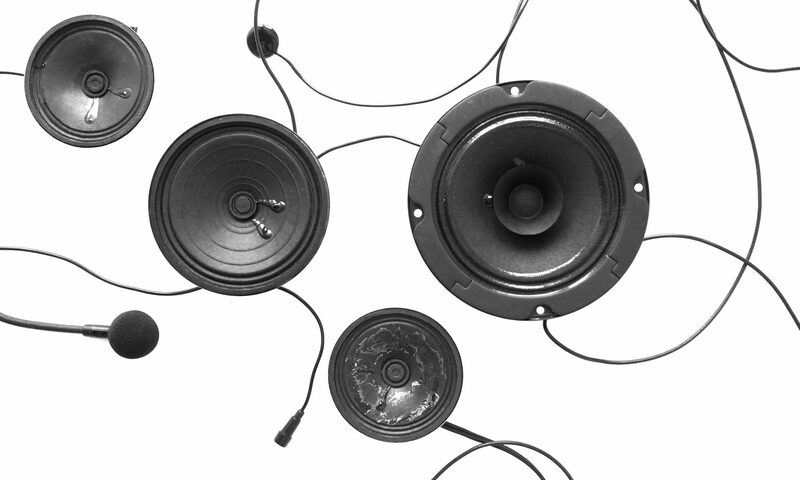 Most remarkable are the five “violin loudspeakers”, as mentioned above. These violins have tactile transducers attached to them and the audio sounds through the violin. Double exposure—the English translation of the title Doppelbelichtung—is the technique of taking two pictures on one frame of film. In this piece every sound seems to be a sonic double exposure of a violin and a bird: the violin imitates the bird sounds, which are in turn modified to resemble the violin. 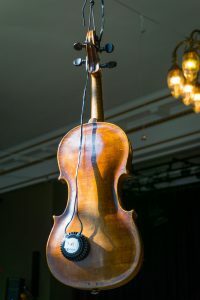 By transmitting these sounds through tactile transducers attached to violin corpuses hanging in the air, every bird recording acquires the spectral characteristics of a violin. The piece is a thoughtful conversation between these new creatures.